On April 25, 2011, I wrote about well known pets on television shows. 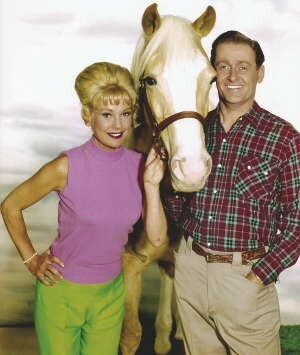 I profiled such TV pet luminaries as Fred the Cockatoo on Baretta and Arnold the Pig on Green Acres. At the end of my posting, I said there would be future postings about television pets on TV Banter. As promised, here is some more about TV animals. On The Brady Bunch, the Brady family had a pet dog named Tiger. In real life, the original Tiger died after being run over by a florist's truck. It happened during the filming of an episode of the series titled "Katchoo." In that 1969 episode, the Bradys fear that daughter Jan (Eve Plumb) is allergic to the family dog. Remember how Elly May Clampett loved her critters on The Beverly Hillbillies? There was, however, one critter who was more associated with Elly's father, Jed. It was Jed's sleepy hound dog, Duke. Duke, a blood hound, was Jed Clampett's hunting dog. 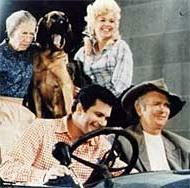 When the Ozark hillbilly family moved to Beverly Hills after striking oil, Duke became increasingly lazy. The canine just sat around the mansion all day. Jed, who bemoaned Duke's behaviour, once remarked, "There's a dog who could trail a butterfly through a rain storm. Now he couldn't smell cabbage cooking." Duke was portrayed by canine actor Stretch who had appeared in the military comedy No Time for Sergeants with Andy Griffith. When Stretch reached the age of 13, he was replaced on The Beverly Hillbillies by a younger bloodhound. 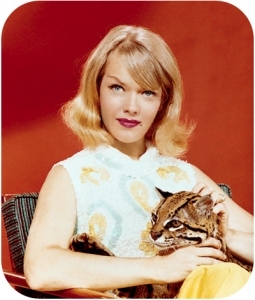 In the 1965-66 detective series Honey West, starring the late Anne Francis, Honey had a pet ocelot named Bruce. According to Ronald L. Smith in his book Sweethearts of 60s TV, "The powerful thirty-pound animal pelted Anne around with his paws, leaving her black and blue. When he chomped on her hand and drew blood, she had to have a tetanus shot." Various South American ocelots played the role of Bruce. Animal trainer Ralph Helfer, who supplied the wild cats, is quoted in The Encyclopedia of TV Pets as saying, "Anne Francis was a sweetheart, one of the few who that didn't mind if the ocelot scratched her a little bit when it jumped on her lap." 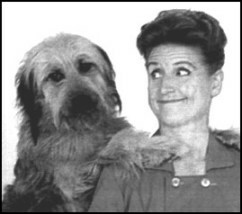 Helfer described the late actress as "a real animal lover." How can we forget a pet monkey on a television series? 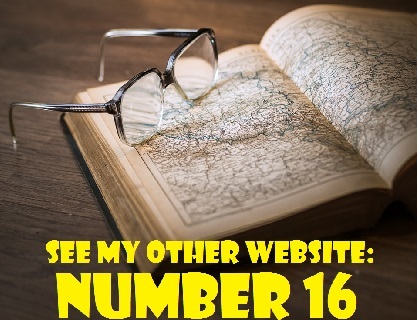 Back in 1972, the late Ted Bessell of That Girl fame starred in his own short-lived sitcom. It was called Me and the Chimp and Bessell portrayed a dentist named Mike Reynolds. Reynolds lived with his wife Liz, their children, Scott and Kitty, and a trouble making chimp named Buttons. 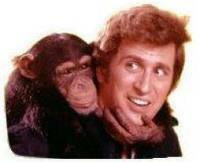 Unfortunately for Ted Bessell, Me and the Chimp was a complete flop. Critics panned it savagely to the point where Ted was forced to turn to directing in order to find work. He died on October 6, 1996 of an aortic aneurysm. At the time of his passing, he was 61 years old. The popular sitcom Mr. Ed (1961-1966) featured a talking equine. Mr. Ed was a horse who only spoke to his owner, good-natured architect Wilbur Post (played by Alan Young). Connie Hines had the role of Wilbur's wife, Carol Post. Ed was portrayed by a palomino named Bamboo Harvester. The gelding was foaled in California in 1949 and trained by Les Hilton, a protege of Will Rogers. In 1968, two years after the cancellation of Mr. Ed, Bamboo's health began to decline. He suffered from a variety of ailments and was euthanized in 1970 at the age of 20. You might wonder who provided Mr. Ed's deep voice. It was cowboy star Allen Lane. Lane, who was never credited during the run of the series, died of cancer in 1973. He was 64. As for Alan Young, he is now 92 years old. His television wife, Connie Hines, passed away on December 18, 2009 at the age of 78. I remember watching The Brady Bunch when I was a kid. My mother never told me that Tiger had died. Ditto! I am a huge fan of the show. I even asked my dad if I could have a similar dog. We found an orphan in a dog grooming Long Island spa for half the price.